Fall in love with the boy next door in this sweet contemporary romance by USA Today Best Selling Author, Jillian Dodd. 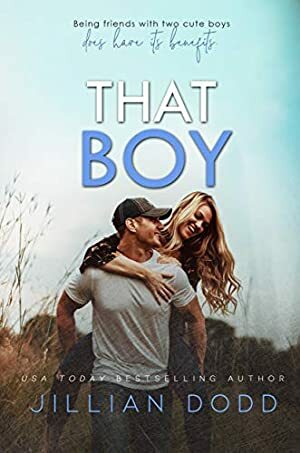 If you're a football fan, love small town romance, and cute boys next door, you'll love the That Boy series. Log In to track Jillian Dodd on eReaderIQ. to be notified each time the price drops on any book by Jillian Dodd. to stop tracking Jillian Dodd. This book was £5.38 when we started tracking it. The price of this book has changed 48 times in the past 2,621 days. The highest price to date was £5.38 last reached on February 14, 2012. This book has been £5.38 one time since we started tracking it. We last verified the price of this book about 2 hours ago. At that time, the price was £0.00. This price is subject to change. The price displayed on the Amazon.co.uk website at the time of purchase is the price you will pay for this book. Please confirm the price before making any purchases.